"- All rules necessary to play either a colonial or Victorian Science-Fiction (VSF) version of the game. 15mm- 28mm scale. 1-5 figures a stand, 4-5 stands per unit. 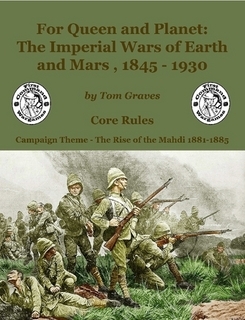 This set contain both Core rules Plus An Historical Mahdist campaign theme"